In simpler terms, growth hacking is the right blend of marketing and product development activities to find what works for your business. In this post, we’ll talk about how the growth hacking funnel works and how some of the top start-ups have used it in a brilliant way. The growth hacking funnel defines a clear pathway as to how start-ups and growing businesses can implement this form of data-driven marketing. Acquisition: This part talks about awareness of your business. It focuses on how to gain maximum awareness in a cost-effective way and a short period of time. Activation: Once people know about your business, why should they sign up with you? This part talks about how to on-board users in a smooth way. Retention: When users have started using your product/service, what will make them come back again and again? Retention is all about keeping your customers for life. Referral: One of the best marketing channels is word of mouth. People trust their friends and network more than anything else. This part aims at solving the problem of maximizing referrals. Revenue: When all the above points are put into a scalable process, managing cash flow and revenue is the next step. Let’s now talk about some interesting cases of growth hacking and what we can learn from them. About the company: Airbnb helps you find homes and rental spaces when you are travelling. The experience they offer is different from your standard hotel experience. As of Oct 2016, the company has over 12 million rental locations available online and 100 million users. So how did Airbnb become so big? After raising the initial round of funding, the founders focused their plans to grow the company in an exponential fashion. In the world of internet marketing, it is all about getting traffic from some other platform to your own. The founders understood that Craigslist was one of the platforms where their target audience hangs out. This resulted in exponential growth for Airbnb as their listings were much better (than the regular Craigslist one) in terms of images, structure and appeal. Understanding where your target audience hangs out and building the right form of awareness at that platform works really well. About the company: Hubspot is one of the biggest inbound marketing software used by companies across the globe. It is used by marketers, entrepreneurs and business development professions. How did Hubspot hack growth? Hubspot practices what it preaches. Both the co-founders were focused on building content and tools that would generate inbound leads which could be further converted into paying customers. The conversion rates on inbound leads that came through these efforts were phenomenal. Hubspot began with just 3 customers in 2006 and last year (2015), they did $186 million in revenue. Investing in content, educating and helping your target audience can build a lot of credibility for your business. This credibility will then turn into paying customers at a much better rate than outbound marketing. About the company: PayPal needs to no introduction. It is used by millions of individuals and businesses to send and receive money online. What made PayPal what it is today? Note: PayPal had already tried different forms of advertising and found out that this method got them the lowest cost per acquisition. Understanding how to activate users with an incentive can be a crucial part of your business success. About the company: Dropbox is a cloud storage company headquartered in San Francisco, California. What Led To Dropbox’s Growth? As any other online marketer would do, Dropbox was initially invested in digital ads. However, they quickly figured out that it was not going to work out. They shifted their model to referral marketing that took them from 100,000 to 4,000,000 users in 15 months. Word of mouth marketing works better than anything else. If you already have customers who love your product/service, you should consider encouraging them for inviting their friends/network to use your product/service. About the company: Buzzfeed is a media company that publishes interesting content including social news and entertainment. Understanding what engages people is something the internet revolves around. If you can create content which resonates with your audiences and qualifies as “worth-sharing”, you are on the right path. The above case studies talk about how growing businesses can implement marketing in a way which is data driven, resonates with your target audience and is scalable. If you can understand how your customers discover your business, why they sign up with you and what makes them become a paid customer, there’s no limit to where you can go. 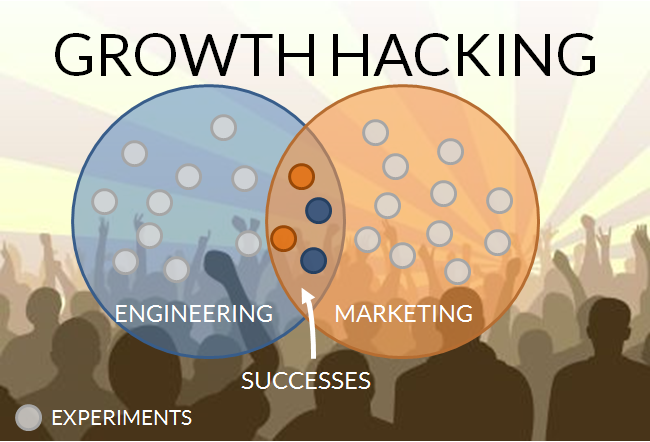 Which growth hacks have worked for your business? About the Author: Shivankit Arora is a growth hacker and the founder of a start-up marketing agency, Marketing Masala You can connect with him on Twitter to know more about growth hacking and start up marketing.